This post isn't just brought to you by Avocados from Mexico, it's brought to you thanks to my husband Justin who LOVES avocados! He loves avocados so much he has been known to make an entire batch of guacamole and eat it by himself in one sitting. He puts it on sandwiches, he likes it on salads, he eats it plain. When I told him that he needed to help me come up with a new avocado recipe he jumped at the chance. When I told him we got to pick out one of the new items from the Avocados from Mexico Cafe Press store, he was overjoyed. We served it with a squirt of lime juice and some restaurant style tortilla chips for the perfect Friday afternoon snack. I have to give Justin the credit since he did all the hard work for this. So to thank him I sent him an avocado bouquet from the Share the Avocado Love Facebook app. Flowers he actually liked! 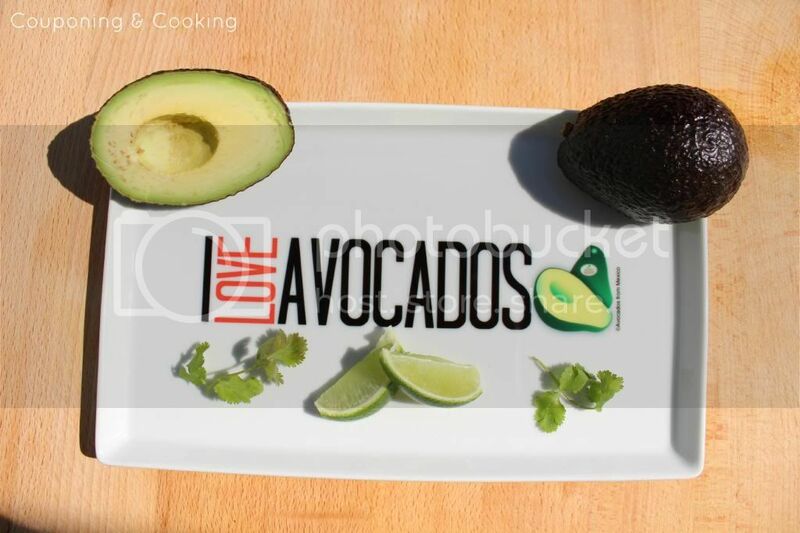 How cute is our I Love Avocados serving tray from the Avocados from Mexico Cafe Press store? They have so many cute things with the avocado themes and I am thinking I will have to order Justin one of their aprons soon too. Want fun avocado gear and other prizes? Make sure you participate in the #iloveavocados Twitter party on February 7th between 3:00 and 4:00pm EST. 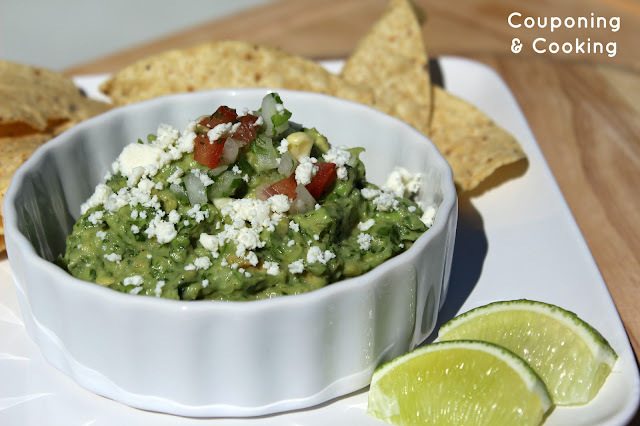 Just follow @guacgrl or hashtag #iloveavocados to be a part of the fun! 1.) Take all of the ingredients except for the salsa and queso, mash together until it reaches your desired consistency. 2.) Top with salsa fresca and crumbled queso fresco. 3.) Squirt a little lime juice and serve with your favorite tortilla chips. Enjoy! I loooooooooooove avocado, and can it anytime any day. Nothing better than an avocado except guacamole!!!!! Thanks for the recipe! I love Guacamole! Also love the new look of your blog! Thanks for Linking up at Show Me Your Plaid Monday's! 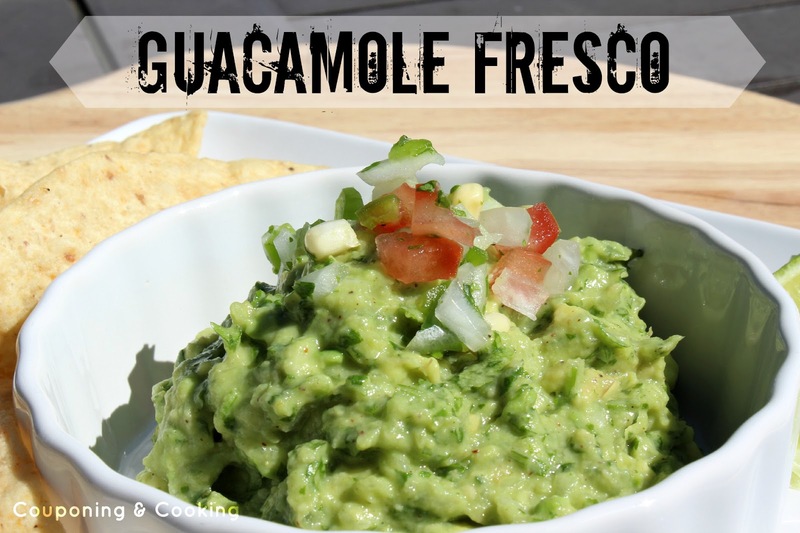 I love avocados and and Guacamole! I have been meaning to do a post about my own guac method/recipe, but I never measure anything! lol I always just wing it until it tastes right! I'll have to give this recipe a try! Thanks for Linking up @ The Sepia Puppy's "Triple Heart Tuesdays"
Looks delish!! Pinned ;) Thanks for sharing! looks yummy! I found out recently that if you leave one Avocado pit in the guac, it will prevent it from going brown. Guacamole is my favorite thing! I'll definitely have to try out the recipe sometime. Thanks for sharing this recipe. YUM!!! I just love Avocados and your guacamole fresco looks delicious. Hope you are having a great weekend and thank you so much for sharing with Full Plate Thursday. Kaylee that look yummy. I'm making chicken enchiladas tonight. this would be great too. 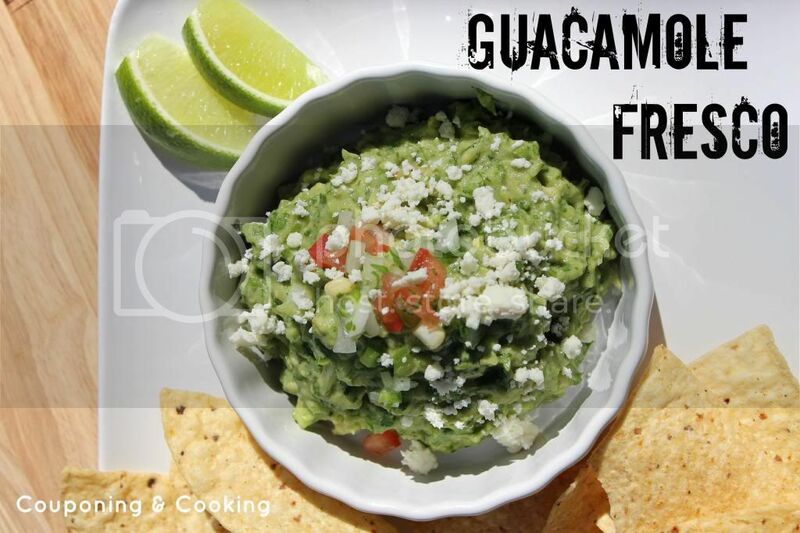 Your guacamole looks fantastic! Chunky, creamy, flavorful - perfect!